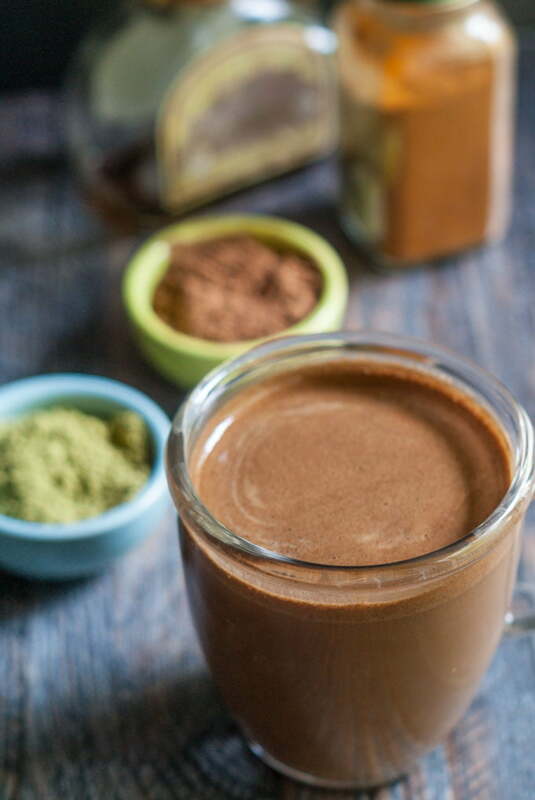 This Mexican chocolate matcha drink is a healthy and delicious way to start your day. What do you think is in it? Only 2.6g net carbs per serving. This is my new fav drink. 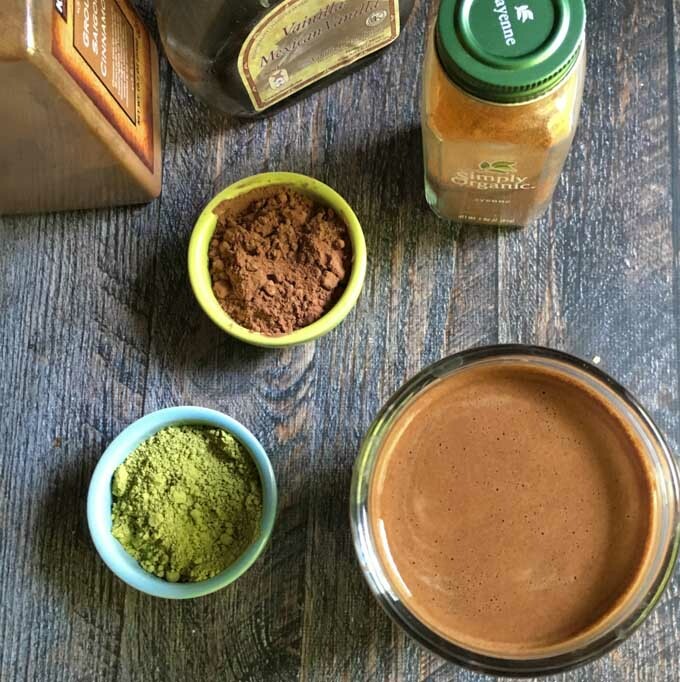 I whip it up every morning and it keeps me going until lunch. 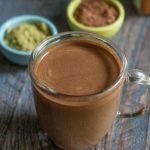 As the weather gets cooler I always crave a cup of hot chocolate. That’s where this recipe comes in. 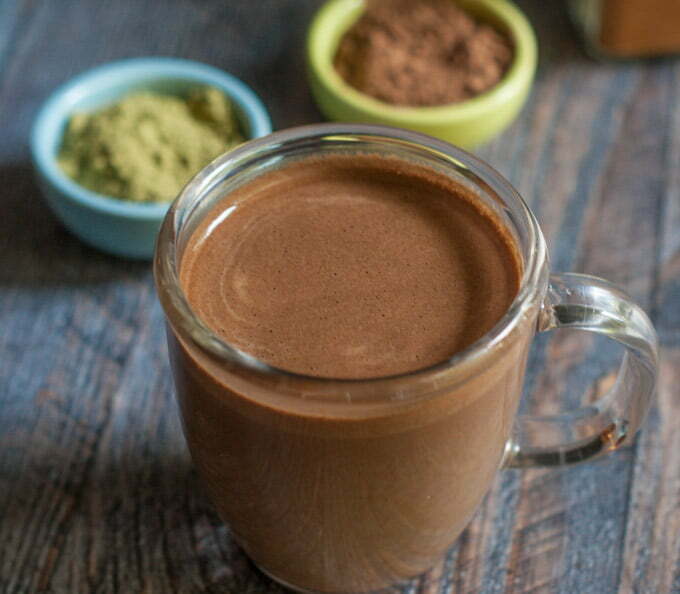 It’s a cross between a bulletproof matcha drink and a Mexican hot chocolate. It’s simple to make, low carb and I just love it. 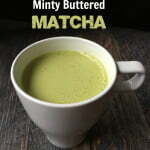 To be honest you can’t really taste the matcha at all. However I like the boost of energy it gives me. It’s much milder than coffee but it gets the job done. I but my matcha from my friend Debbie. She sells Steeped tea and has a great Facebook page if you enjoy tea. I also love the coconut oil in this drink. 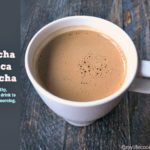 It makes it creamy some how, but remember you must blend it in a blender. If you just add it to the hot liquid it will make it oily. So remember the blender. 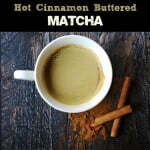 And if you need any more matcha recipes, check out a few of these. 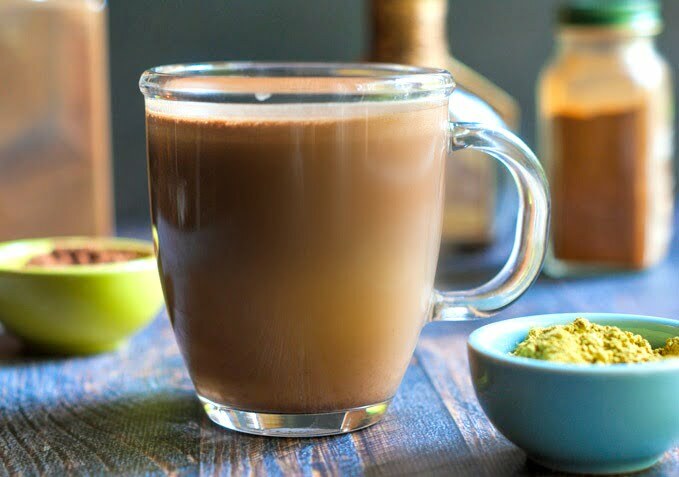 This Mexican chocolate matcha drink is a healthy and delicious way to start your day. Guess what's in it? 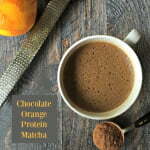 Add all ingredients to a high speed blender and blend on high. Pour into you mug and enjoy! Note* if you find it hard to measure the cayenne powder, just use a sprinkle instead. I have a tiny measuring spoon that is 1/16 but some may not. In that case, just use a sprinkle.